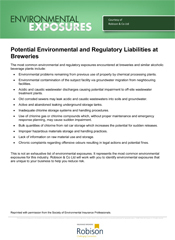 For breweries, the areas of risk are many and diverse, leading to complicated and unwieldy insurance policies which may not offer your business the protection it needs. 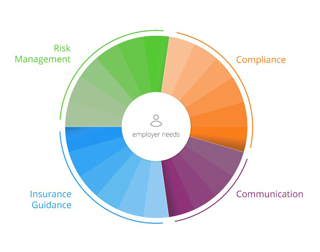 Whether it’s the equipment you use, your core ingredients, the storage and transportation of your product, or the costs associated with potential recall, your insurance cover needs to be comprehensive enough to limit your exposure, whilst agile enough to evolve with new product and business development. 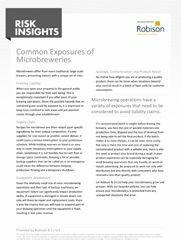 At Robison & Co., we understand the complexities of the brewing industry and the myriad areas of risk. Our specialists will take the time to identify the particular safety, compliance and regulatory challenges faced by your brewery, and recommend robust, relevant policies to address these vulnerabilities. We’re specialists in the brewing industry: we’ll help protect every element of your business, from core ingredients through to finished product. We have particular expertise in microbreweries, pub breweries, large breweries and SIBA members. 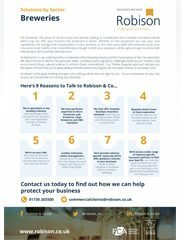 Each of our clients’ requirements are unique, but here are a few of the specialist insurance policies available to breweries. 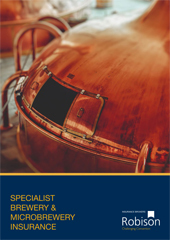 If you’re interested in learning more about Breweries Insurance and how we can protect your business, please give us a call on 01730 265500 or email one of our Breweries Insurance specialists, Simon Gubbins or Danny Toull.